More consumers are seeking traceability on beauty and skincare products nowadays, so it’s no surprise that there are so many Cornish companies producing their own ranges. Inspired by natural products and the Cornish elements, these products are popular with locals and holidaymakers alike. Watergate Bay Hotel have recently expanded their Another Place bath and body collection. Their products are made in collaboration with Arcania Apothecary using natural recipes with pure plant, fruit and flower essences. Many of their products are used in the treatments at Swim Club (Watergate Bay Hotel’s in-house spa). Designed to give that “fresh skin invigoration that comes from being in the great British outdoors”, whenever I use the hand cream at home I feel like I’ve just stepped off the beach. All products are available in 500ml bottles and can be purchased online or from the hotel. We were given a jar of lavender hand and foot cream by the lovely people at B Skincare, and it has pride of place in the Barefoot office. Lavender is one of my favourite flowers and this particular cream is rich, smooth and non greasy. All B Skincare’s products are handmade by Chris and Sonya and members of their extended family near Bodmin. Creams are made each week, and they really do measure, mix and pour by hand, as well as screw on the lids and stick on the labels, something their children often help with. The team also make white label products for other businesses including The Eden Project, Jill Stein and The Lost Gardens of Heligan. 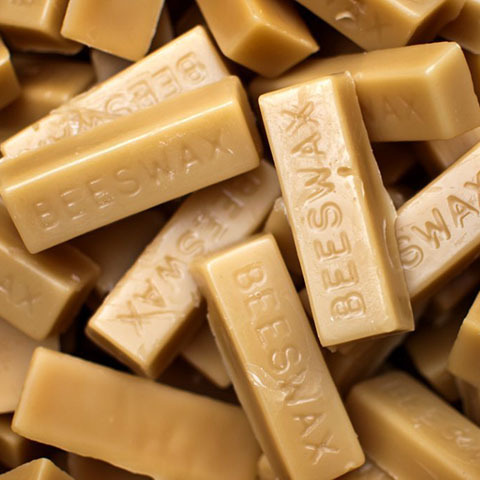 Using old country recipes, their products are made using 100% natural ingredients such as beeswax (pictured left), essential oils, infused oils, honey and flower waters. The creams are free of parabens, sodium lauryl sulphate, fragrances, palm oil and lanolin, and smell divine. 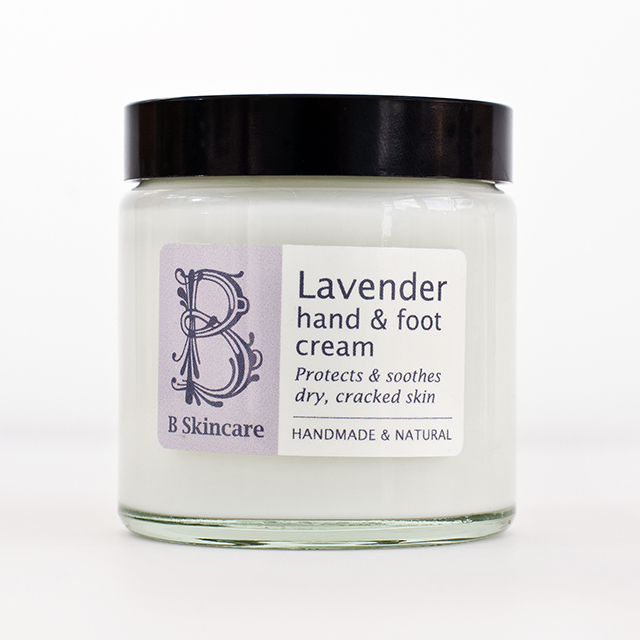 B Skincare lavender hand and foot cream, £5.95 for 60ml, £7.95 for 110ml. Available to buy online, from farmers’ markets and selected retailers. All products made by Truro-based Spiezia are organic, with a wide range including skincare for men, women and babies, scrubs, moisturisers and homeopathic ointments. With attractive packaging and jewel-coloured glass bottles the gift sets and stocking fillers are sure to be popular this Christmas. For something a bit different try the Cornish Seaweed Bath Co.‘s Seaweed Bath, as used at The Scarlet Hotel. Hand harvested Cornish seaweed and Dead Sea salts combine to produce a mineral-rich, naturally rehydratring and rejuvenating bath soak. Pure & Balmy make all their own products here in Cornwall. Don’t miss their gorgeous little heart shaped butter balms and the exfoliating pink Himalayan salt scrub. St Kitts Herbery, who are based near Camelford, make deliciously scented, herbal toiletries, in distinctive black packaging, which you have probably used in hotels and restaurants across the county. Our favourite is rosemary and bergamot. Halzephron Herb Farm‘s skincare range is wholesome and herby, as well as being beautifully packaged. The soaps in particular are gorgeous and are made using only natural ingredients. Afyna was launched this year by Sara Young of River Spa, and has quickly become a popular skincare range, taken on by several spas, St Enodoc Hotel, St Michael’s Spa and The Headland Hotel amongst others. Read more about Sara here.